Endnoteweb has a relatively new function called Match. The Match function is there to match your works title and abstract to a relevant journal. To use the function you have to log in to myendnoteweb.com. 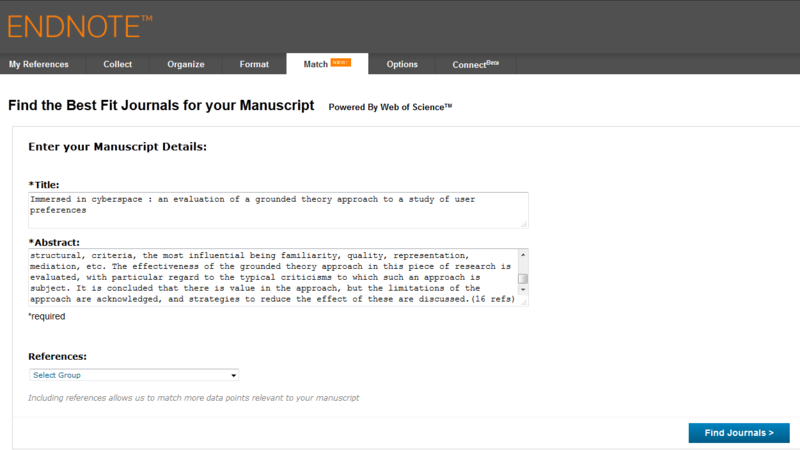 Click on the Match function and copy paste your title and abstract into the designated boxes and click on find journals. You will get journal suggestions that might be relevant for your work. Note that the function will only match with journals from Tomson Reuters Web of Science. So it is important to check the journals indexing and range through other citation databases and reference databases. There are probably relevant journals that will not be found through this function. But it is still useful to get support and suggestions.